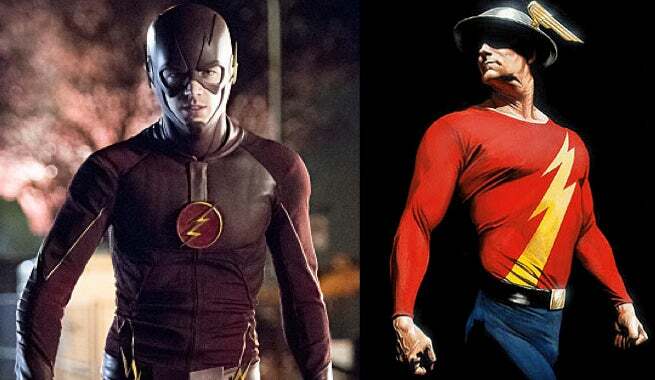 While the appearance of the Jay Garrick’s winged helmet on The Flash Season 2 finale was a pretty good indication that the Earth 2 speedster would be making an appearance on the show, there was always the possibility that it was just an Easter egg for fans. Well, forget about the possibility of it just being an Easter egg. During the DC Entertainment Page to Screen panel at 2015 San Diego Comic Con international, Geoff Johns confirmed that the winged helmet was a story point. He assured the audience that fans would see Jay Garrick in Season 2 of The Flash. The Flash Season 2 will premiere on Tuesday, October 6, 2015 on The CW.